Because the health myth says that sugar is bad for you, you really do have to wonder why people say that this is true. Well, not exactly! Sugar is extremely important to your body. There are actually 8 sugars that are known to be essential to your health. The body burns these sugars as fuel. The sugars also allow your body to recognize itself, Notably, these sugars also help your body heal and much more. What we typically call sugar (granulated table sugar) is one of those eight sugars called sucrose. 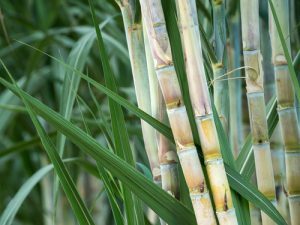 It comes from the sugarcane plant which is native to subtropical and tropical areas such as southern Asia. There are nearly no known health risk when eating the entire plant. So, the problem isn’t that sugar itself is bad for you. In fact, eating the entire fruit or sugar cane plant is a very healthy thing to do. Actually, most foods that are rich in sugar are also rich in fiber. The fiber holds on to the sugar and causes it to be slowly released into our bloodstream. 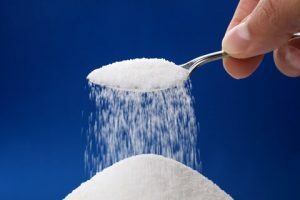 Once you remove the fiber to make juice, white flour and sugar crystals, you create a form of the sugar that goes into your bloodstream too fast. This shoots your blood sugar level up too high even when smaller amounts of sugar are eaten. And so the ripple of problems begin. As a result, the main problem is OVERDOSING on sugar without it’s natural fiber. We eat too much of it in this form. This is what produces major issues in the body. We can’t burn it all so we have to call out insulin to store it as way too much fat. The excessive amounts of insulin and fat, in turn, start a whole host of other problems. THE POINT: Sugar in moderation with its fiber is essential to health. 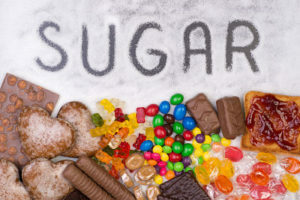 Sugar without its fiber in large quantities is what is extremely bad for you.